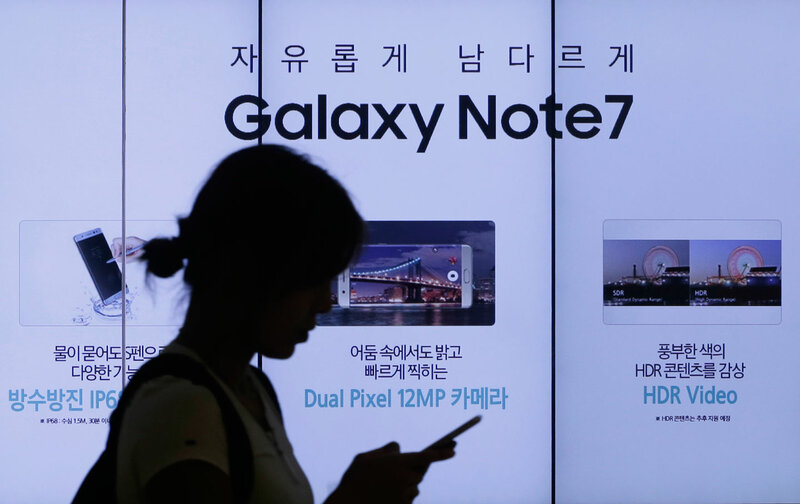 In recent weeks Samsung’s brand has undergone a series of spectacular and very public failures, with its flagship Galaxy Note 7 smartphone continuing to catch fire despite a global recall and failed effort to fix the problem. But exploding smartphones and botched safety recalls represent just the outer edge of the company’s crisis. The tech giant’s supply chain has long been fatally tainted, according to labor activists, churning out wage exploitation, chemical hazards, and mass labor abuses. So the retail quality-control issues fit perfectly with the wholesale degradation of workers’ quality of life. Global unions are now mobilizing against Samsung’s “medieval” empire, which produces about one-fifth of South Korea’s export economy. Labor activists attribute many of the company’s alleged labor abuses to its strict no-union policy, which has been instrumental in suppressing wages and labor rights throughout its low-wage manufacturing network. Today, Samsung continues to be run in an idiosyncratically Korean form of business known as a “chaebol,” which operates as a family cartel that in turn controls the lives of tens of thousands of workers across four continents. An analysis of the company’s supply chain, published by the International Trade Union Confederation (ITUC), examines labor practices at Samsung worksites in Brazil, Canada, China, Europe, India, Indonesia, Korea, Malaysia, Mexico, Philippines, Taiwan, Thailand, Vietnam, and the United States—all countries with vastly different economic structures, standards of living, and labor regulations—but all roped into Samsung’s multinational union-free zone, under a hyper-competitive manufacturing model of breakneck output and disposable gadgetry. Additionally, about 8,000 suppliers provide subcontracted labor under even more precarious conditions, according to the report, which leave workers with virtually no control over their wages, work schedules, or occupational safety conditions. Economic “risk” is outsourced to subcontracted workforces in India and China, where labor is cheaper and corporate power is greased by rampant corruption. On October 2013, Korean Metal Workers’ Union (KMWU) member Jong-Beom Choi, 32, self-immolated after being pushed into extreme hardship through targeted auditing…. The young leader committed suicide after being heaped with verbal abuse and insulting treatment just 100 days since the workers had formed a union. The KMWU said the same repression faced 1,600 other union members at Samsung Electronics Service Local. Samsung’s record on labour rights and working conditions, and the problems with slow response to the recall of it’s products, are symptoms of a lack of concern for its consumers and its workforce. Samsung’s dehumanizing business model isn’t limited to low-paid wage laborers; some of the flagship brand’s aspiring young professionals have reported suffering physical and mental brutalization, and some have not survived their jobs in Samsung’s high-stress work environment. Other reported safety abuses include a deadly gas leakage in March 2014 that reportedly left one worker dead, and three worker injuries at a separate plant in early 2013 due to a hydrofluoric acid leakage. Amid this hostile and dangerous workplace climate, labor advocates say, the company is invested in suppressing labor organizing at all costs. When workers have attempted to unionize, ITUC says their efforts have been deterred “through systematic surveillance, intimidation, dismissals,” and aggressive anti-union propaganda meetings. The Philippines-based supplier NXP Semiconductors was accused of trying to illegally bust the union by firing workers who sought to organize, which eventually led to a formal dispute settlement through the ministry of labor. The report cites a PowerPoint presentation that directly instructs managers on how to crush unionization drives through intimidation and interference. Free trade has been built on a system that has allowed the oppressive model of supply chains to flourish because there are no rules—no floor of human and labour rights that underpin global trade. Where governments are cowed by corporate power they simply do not legislate for or develop compliance to protect even their own citizens. Exploding gadgets are the embers of a long-burning labor crisis simmering under the gloss of Samsung’s brand. The liability of a defective smartphone model is eclipsed by the rot of an abusive business model.